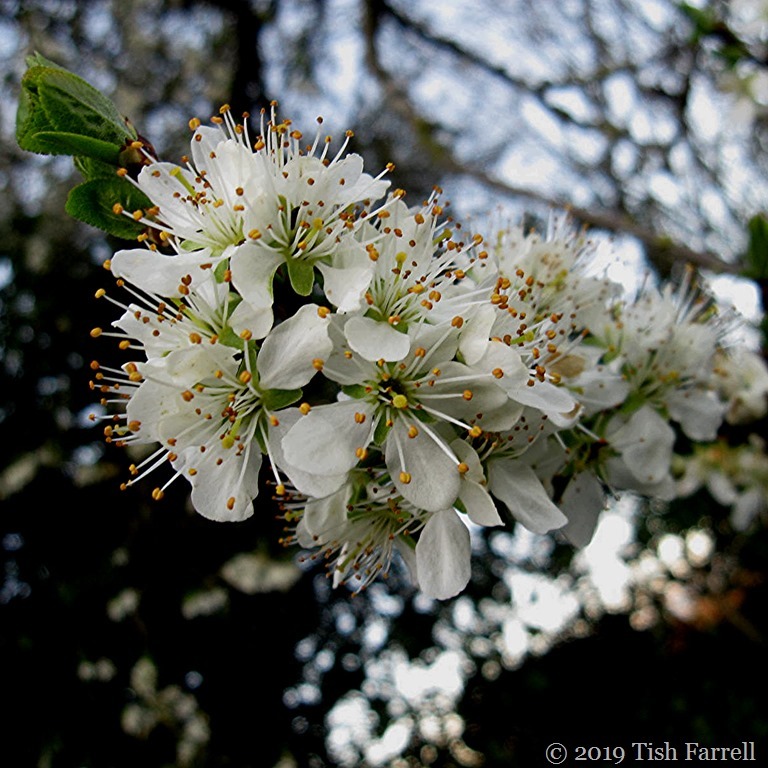 Posted on March 26, 2019 March 26, 2019 by Tish Farrell	This entry was posted in Gardens, Heritage and tagged #SpikySquares, damsons, dyeing industry, Shropshire Prune, Tish Farrell Writer. Bookmark the permalink. What is a damson? Is it a wild plum? Beautiful blooms and would be a knockout hedge for sure. Yes a type of plum but around half size and deep purple-blue-black. The trees do indeed make sturdy as well as beautiful hedges. We also have black thorn (also flowering wonderfully now) which is the wild version, producing berry sized fruit. what a beauty . . . wonderful. Must admit though I am not a damson fan! The jam is sort of ok, but the fruit is not for me. My MrB and my Mum think I am bonkers as they both love them!! Perhaps a bit too acidic. Though I once made some damson ice cream which was wonderful. Hmmmm…….. I’ve yet to be convinced by Gooseberry Fool and Summer Pudding so suspect I may think the same of Damson Ice-cream. I know I’m a funny girl!! Beautiful blossom. Enjoyed reading about them as well. Can there be a much more joyous sight than fruit blossom? Damsons seem to be having a bit of a revival here; I’ve seen damson jam for sale at a couple of markets recently having virtually forgotten about them since I was a kid. I do like the idea of damson gin; T and I have been thinking about getting a still (legal here) since a friend mentioned having had some fab home-made stuff. Think of it as allotment to glass living. With all the lovely botanicals you could grow. Damson jam,damson gin, damson vodka. What’s not to like? And all that lovely blossom too. My Santa Rosa Plum has been in full bloom since last Friday. We had a bit of rain last night so it is not as spectacular as it was over the weekend. Still beautiful though and we should have a bumper crop this year. Waiting now for the apple blossoms. Your photos are spectacular, as always. Cheers, Thom. Nice to think of you garlanded with fruit tree blossom. This is a beauty and a tasty jam here – did not know about the use of colouring or the vodka though. Great info and beautiful shot. My dad makes Damson jelly. It is the most beautiful color and delicious. That probably is the very best way to conserve them, Jelly is so lustrous. Definitely needs to be cooked first, not like a plum. And quite big stones in relation to the fruit, so no hard biting! Damsons may well make excellent gin or vodka, but their flowers also make for beautiful imagery.